The LOSIA garden rug with black and white motifs will prove that rugs aren't just for your living room! 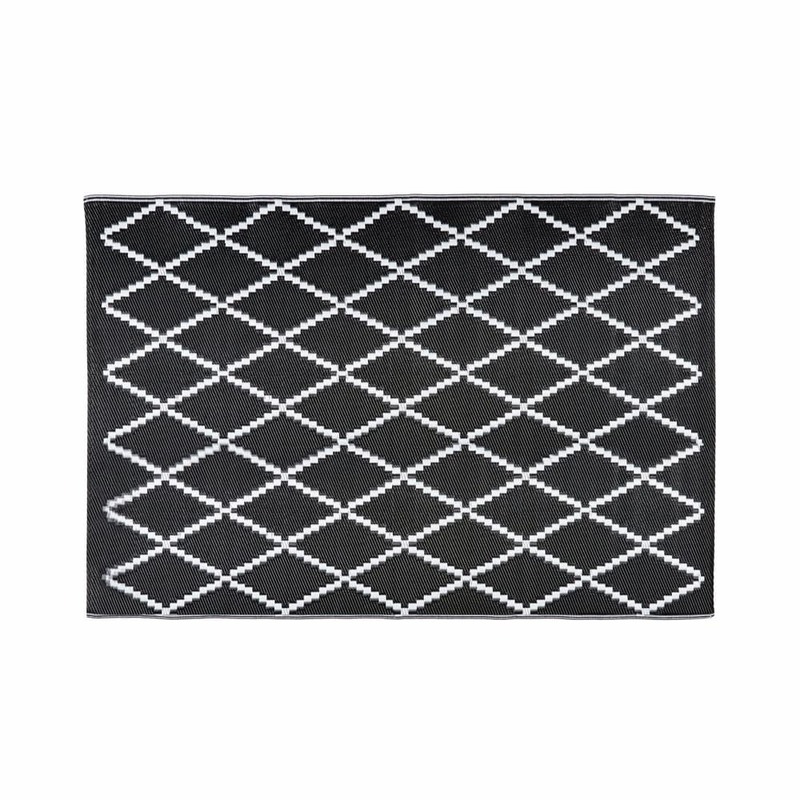 In black and white, this garden rug will elegantly dress your patio or outdoor space. 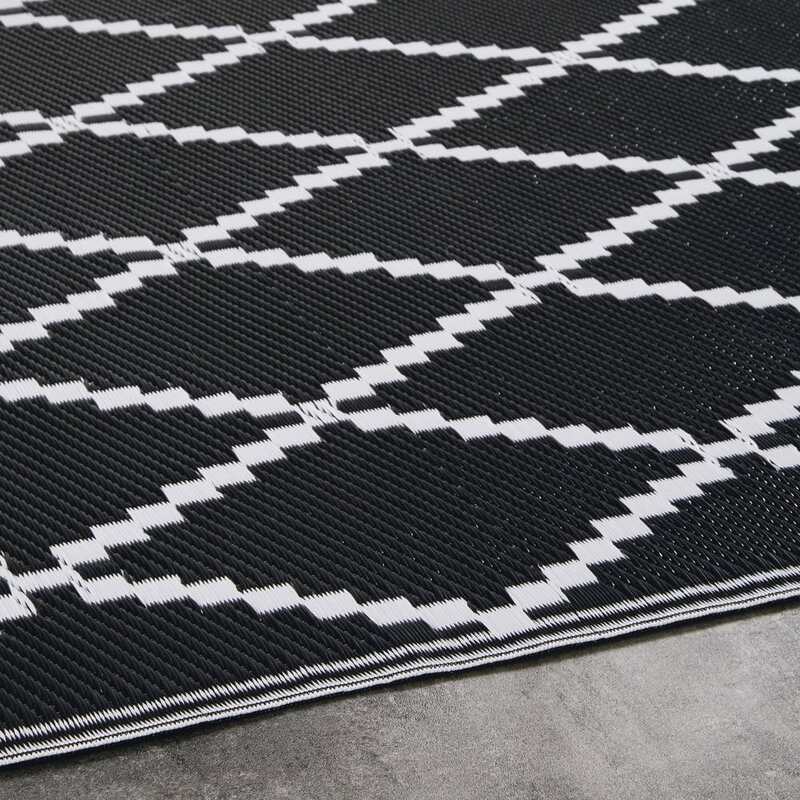 As well as being chic, this gorgeous graphic rug is resistant to humidity and can be cleaned easily. 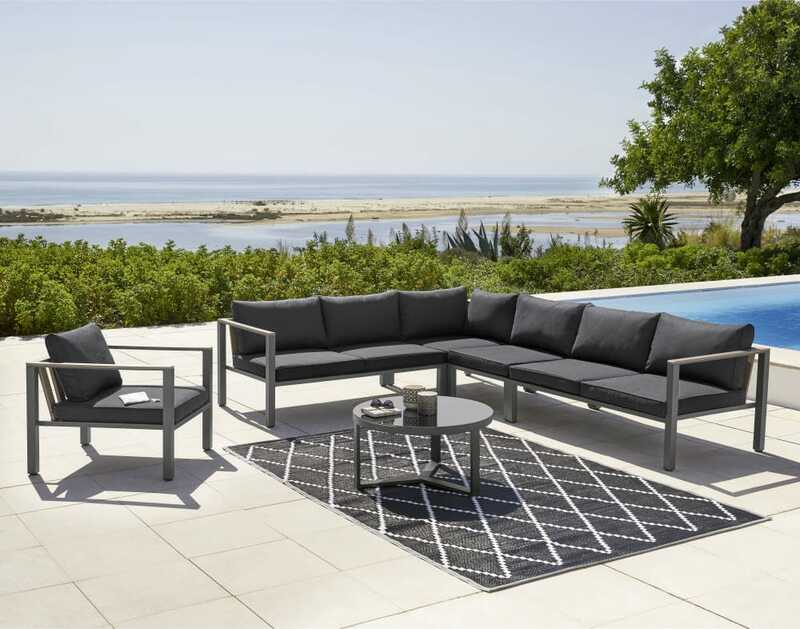 Place this beautiful rug in the centre of your outdoor space and team it with a cute garden coffee table.